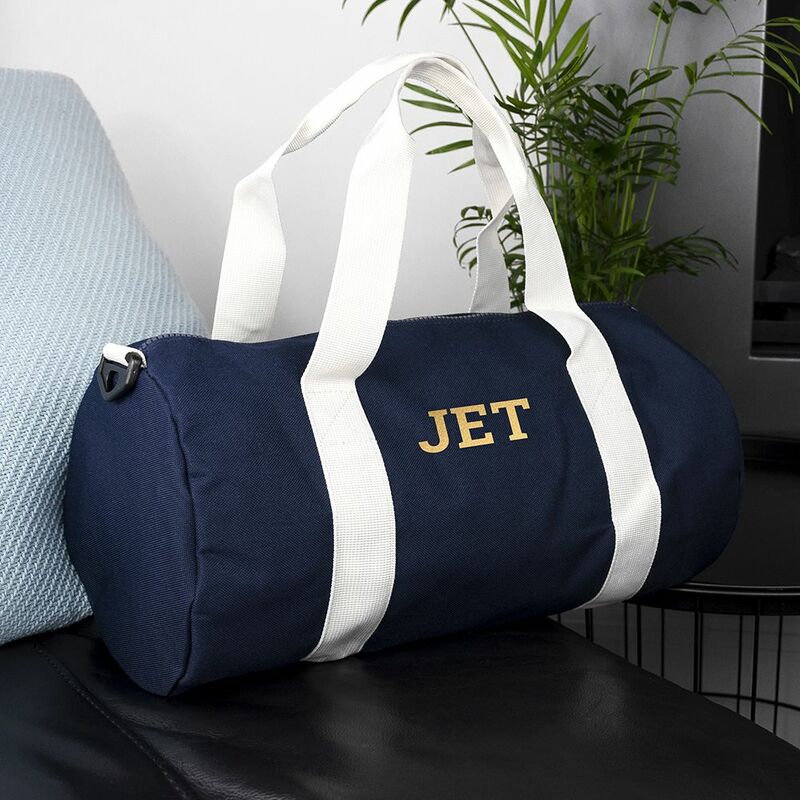 This stylish canvas barrel bag, doubling as gym bag and handy carry-on luggage, features a roomy main compartment to store all the essentials in. 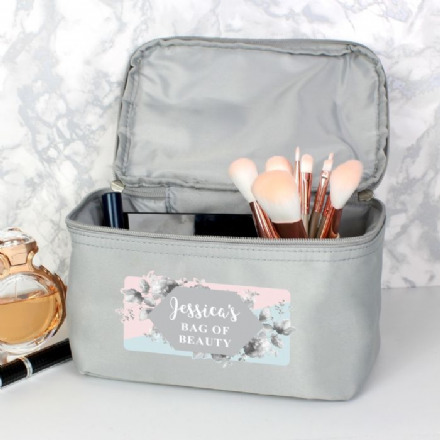 There's a small outside pocket that allows for easy access to a phone, wallet or keys. 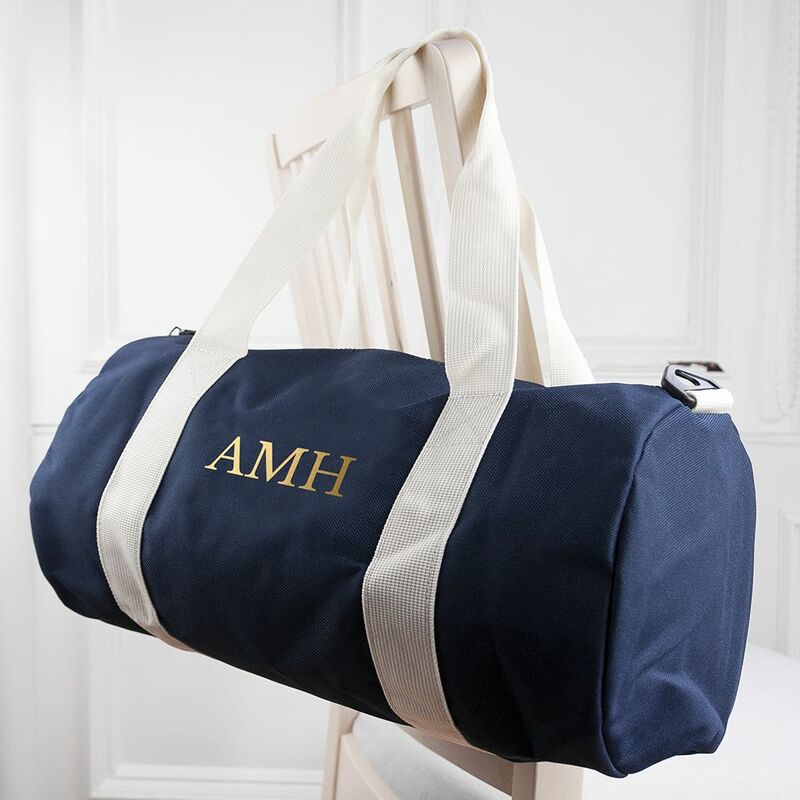 It'll double as a hand-held bag or can be slung across the shoulder, with a shoulder strap that stretches from 70 cm to 120 cm, and is 4 cm wide. 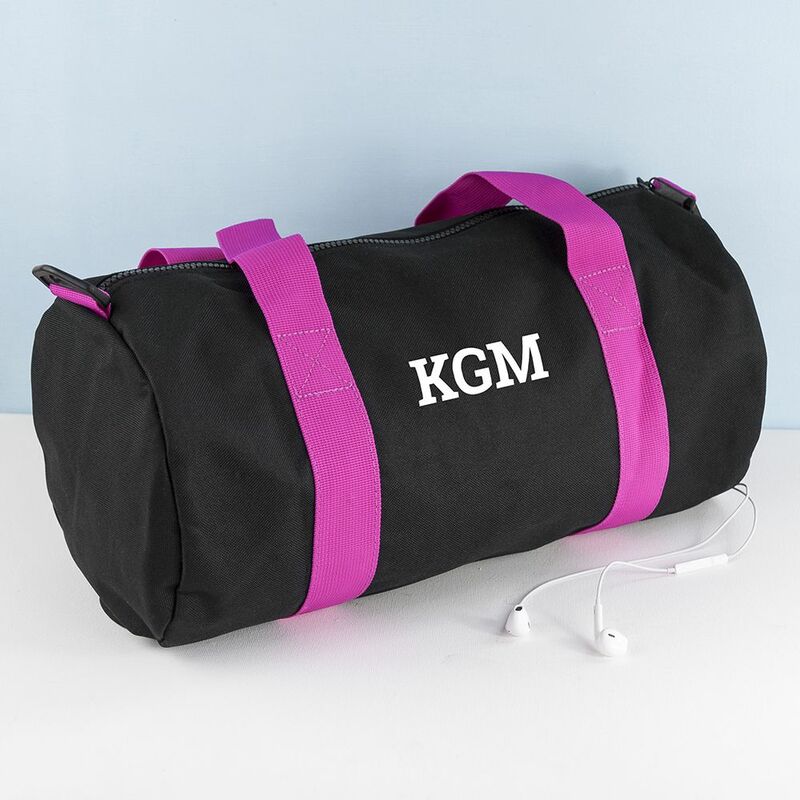 The black and fuchsia bag is monogrammable with up to three characters in white, silver or gold, making it a classically elegant and thoughtful gift.